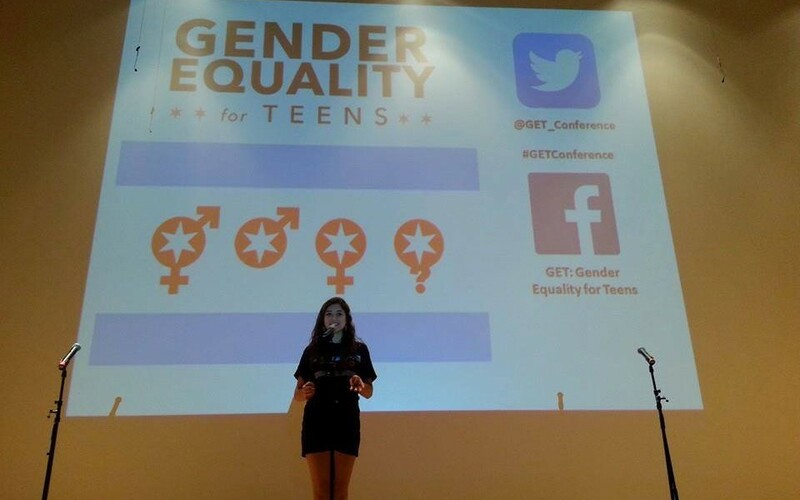 Gozamos is honored to feature the voice of Karina Pantoja, a Latina teen who helped organize a panel on Latina feminism for the Gender Equality for Teens conference in Chicago. Below is her recap of the conference. The GET (Gender Equality for Teens) Conference, hosted by Walter Payton College Prep, gave nearly one hundred Chicago high school students the opportunity to discuss equality and the feminist experience. One of the goals of the conference was to emphasize intersectionality and present feminism across gender, race/ethnicity, socioeconomic status, ability, religion, and sexuality, along with the promotion of gender equality in political and social decisions. It was a way to inform, share, and unite students across Chicago. The queer community and feminism workshop discussed stereotypes affecting teens that identified as queer. There was also a discussion on terms such as queer and trans. Students on all sides of the spectrum were engaged in the conversation. Latinas face a unique set of experiences in regards to gender equality. Many Latino households have a high machismo sentiment. Latina women are often degraded with vicious stereotypes and fetishization. The GET Conference provided Latinos a non-discriminatory space to discuss these issues and how they affect us as teenagers. Similar discussions were held in other workshops including: Asian Americans and the Feminist Experience, African Americans and the Feminist Experience, Men in Feminism, Double Standards, Healthy Dating, Body Image, and more-all led by students and members of Payton’s feminist and self-esteem student clubs. We hope to continue to encourage Chicago youth to recognize gender inequality in their lives and to empower each other to make a change in our society. Karina Pantoja is a junior at Walter Payton College Prep. She is passionate about issues affecting Latinos and is a member of her schools Alliance of Latin American Students. She co-runs Esteemed, a self-esteem and self-love club at school. In her free time, she cheers on Los Cachorros, plays the trumpet, and volunteers at her church.